Thyme essential oil has been in use since the time of the Romans. Both red and white thyme oils are manufactured commercially and are in products ranging from cough drops to perfumes. White thyme oil is made by re-distilling red thyme oil. Red thyme oil has a higher amount of phenols, which the oils are prized for, but is more expensive than white thyme oil. White thyme essential oil contains phenols that have antimicrobial properties, which can inhibit growth of bacteria, fungi and viruses. While these antimicrobial properties exist, they are not foolproof, according to the results of a study published in the October, 2008 issue of "Meat Science." The thyme essential oil in the study only inhibited E. coli at certain concentrations and temperatures, reveals study author N. Solomakos. The phenols found in white thyme essential oil also have invigorating and warming properties, according to the All 4 Natural Health website. The oil can be used topically in a liniment or utilized to boost blood circulation, according to the Intekom website. Such a boost enhances nutrient and oxygen delivery in the body. 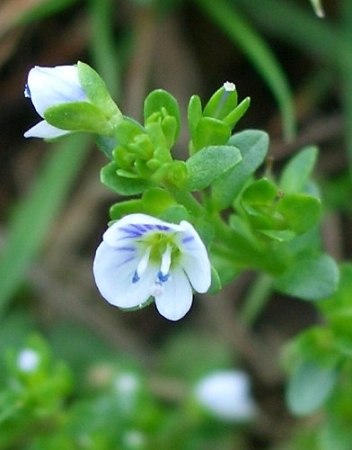 White thyme oil can be added to massage oils to help relieve rheumatism, advises the Botanical site. It can also help with sore muscles and sciatica. White thyme oil is useful for fighting bacterial and viral infections when inhaled. The best way to utilize the oil is with a vaporizer, advises Yogawiz. It can aid in treating pulmonary, urinary and intestinal infections. Vapor with thyme oil also helps clear a person's airways. This is one of the longest-standing folk medicine uses of thyme, according to Natural Standard. Thyme oil acts as an expectorant, helping to clear mucus from the lungs and throat. The oil also is a common ingredient in lozenges and cough drops that people use when fighting off respiratory ailments. White thyme oil is used commercially in mouthwash and toothpaste, where it is added to help reduce plaque formation and gingivitis, according to Natural Standard. The fragrance in white thyme oil is extensively used commercially in soaps, detergents and perfumes, according to Botanical.